Josh Green, a Chattanooga drummer with 25 years of experience, performs at Wayne-O-Rama tonight. › Where: Wayne-O-Rama, 1800 Rossville Ave. 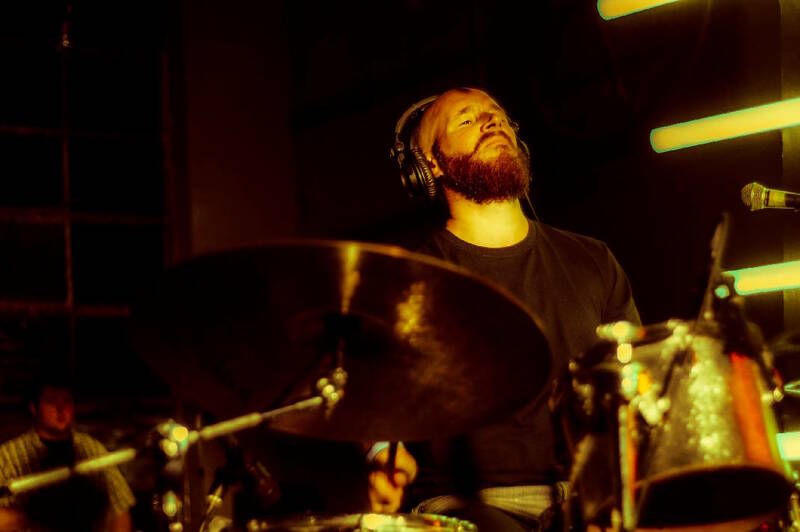 Billed as "a night of drumming chicanery," a demonstration of percussion possibilities will be put on by Joshua C. Green when he hosts Permanent Record Drum Night at Wayne-O-Rama tonight, March 30. Show time is 6:15 p.m. at the venue, 1800 Rossville Ave.
Green has 25 years of experience playing drums and has performed with Infradig, The Distribution, Josh Garrels and Summer Dregs. Permanent Record is Green's current project in which he records, edits and publishes a complete drum sample pack each day of the year. The pack includes one primary groove, several complementary grooves, drum fills and raw stems. He will discuss this creative process and hold a live sample pack recording session at Wayne-O-Rama. There will be a drum jam featuring the Summer Dregs with supplemental drumming from Matt Skudlarek. An improvisational drumming performance piece will feature Weave, a conceptual dance company. Green's appearance is presented by Shaking Ray Levi Society. Admission is free, but a $10 donation is suggested.